HomeFitnessShelah Marie-creating a movement of total self love. I WORK FOR WOMEN OF COLOR TO CREATE A MOVEMENT OF TOTAL SELF LOVE AND LIBERATION. For as long as I can remember, I’ve felt a connection to something bigger than me. As a child I was rebellious, outspoken and a natural rule breaker. As the only person of color in a very toxic home, I was confused about my role in life – and that made me angry. I wanted someone to save me. And I knew I was meant for so much more than what was in front of me. So I searched. Searched for answers. Tapped into my creative talents of acting, writing and directing and traveled the world. It was during my time at Florida State University that I first discovered the seeds for self love through my opportunities to travel. I was lucky enough to live with a host family in Costa Rica, travel throughout Europe, live in Germany, and train at a theater intensive in London, England. As I met people from all walks of life I began to expand my consciousness. And I began exploring meditation (which scared me because it meant going into my own head). 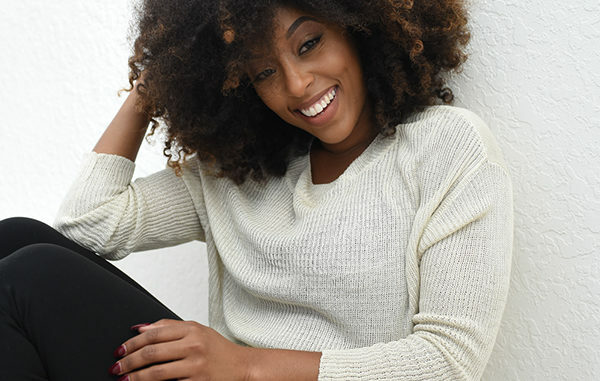 With her authentic, rebellious and playful personality and her @curvycurlyconscious movement, Shelah Marie engages an online community of over a quarter million people. Her mission is to create a movement of total self love and liberation for women of color. She’s the creator of the Curvy, Curly, Conscious movement, where “self help” meets “real talk” and has been featured in NBC, Fox5, Luxe Radar, Black Girl In Om, and Live Civil by Karen Civil among others. Through her platform, she has hosted signature Curvy, Curly, Conscious events and retreats across the US, Canada and Jamaica. About: Curvy, Curly, Conscious is the best friend you go to that will give it to you straight, honest and real. No filters because she knows you can take the truth.